Qatar Airways Cargo has announced that it will launch freighter operations to four new destinations in the Americas, starting 2 February 2017. Boeing 777 freighters will fly twice a week to the South American cities of Buenos Aires, Sao Paulo, Quito and the North American city of Miami. 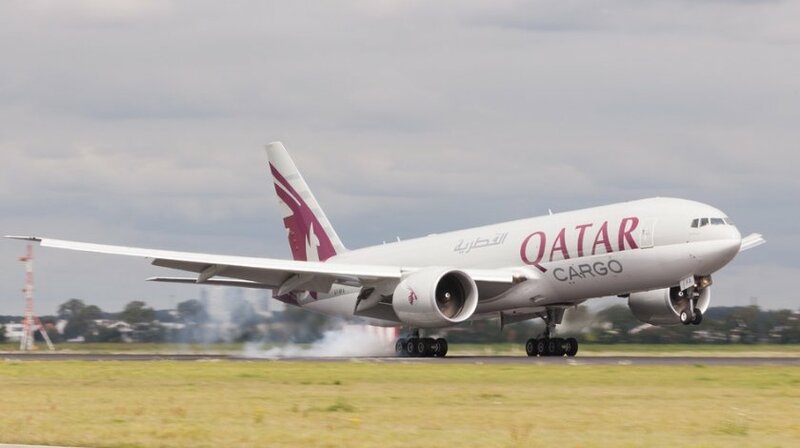 The twice weekly freighter service will depart from Doha via Luxembourg, the cargo carrier’s European hub, with stops at Sao Paulo in Brazil, Buenos Aires in Argentina and Quito in Ecuador. On the return leg, the freighter will stop in Miami, Florida and Luxembourg before arriving in Doha. These new freighter services aim to meet the growing demand for import and export trade in the region and will supplement the belly-hold cargo capacity on Qatar Airways daily flights to Sao Paulo, Buenos Aires and Miami. Qatar Airways Chief Officer Cargo, Mr. Ulrich Ogiermann, said: “We are excited to start 2017 with the launch of four new freighter destinations. These new destinations will connect the burgeoning import and export markets in the Americas region with the rest of the world. The launch of this new freighter route represents great business and network growth for Qatar Airways Cargo as it brings the cargo carrier’s total freighter destinations in the Americas to 12 while offering belly-hold services to 13 cities on the continent. Major commodities out of Sao Paulo, Buenos Aires and Quito comprise of fresh flowers, perishables and pharmaceuticals, whilst imports into South America include a wide variety of products ranging from medicines, automotive, chemical products to high tech commodities and equipment for the oil and gas industry. Miami in the United States will serve as the distribution hub of these air freight to and from the Latin American and Caribbean regions.